Melodies of passion and insanity found on the brink of the human condition. Competing in the deadly battle game "Igura," protagonist "Akira" and his companions of circumstance, while battling through clashes of ego and immaturity, overcome hardship to find something that resembles affection. Inside the hard-boiled world of Nitroplus CHiRAL's otome-game "TOGAINU NO CHI" lies a story of men struggling to find their sense of self and purpose. This selection of music embodies the themes of extreme, raw human emotion and metamorphosis that drives the characters' bildungsroman. The opening theme song, setting the stage for the story's emotional wildfire, was produced by "ZIZZI STUDIO." Features the strength and intensity of tracks like "HIDEKI," as well as songs echoing with the lusciously feminine vocals of "Ito Kanako." And of course, all of the BGM brims with the tension imbued in every scene. 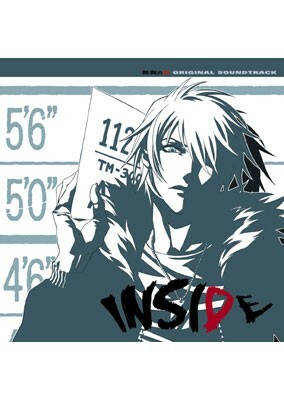 Original soundtrack features 24 tracks from the original production, as well as jacket art with original illustration by lead artist "Tatanakana." Melodies that capture the passion and insanity found on the brink of the human condition.